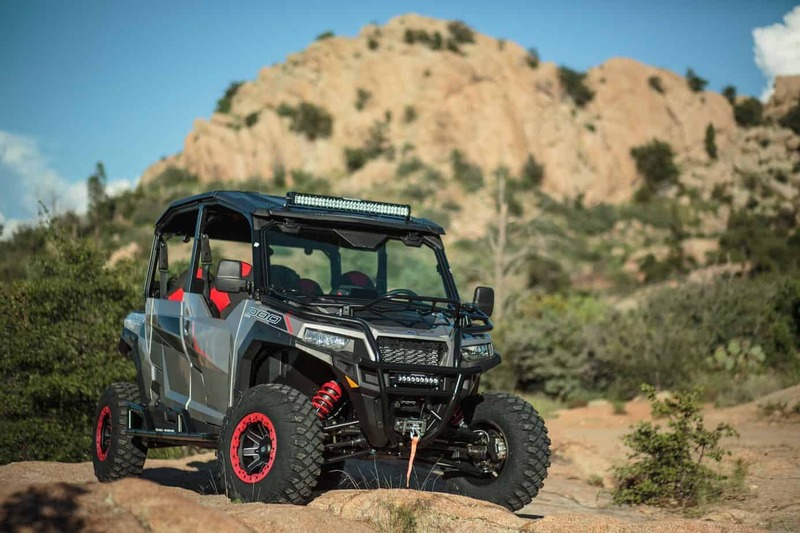 Okay, we admit it, the Polaris General is really fun. We have enjoyed exploring the local trails and exercising the limits of the generous suspension travel. 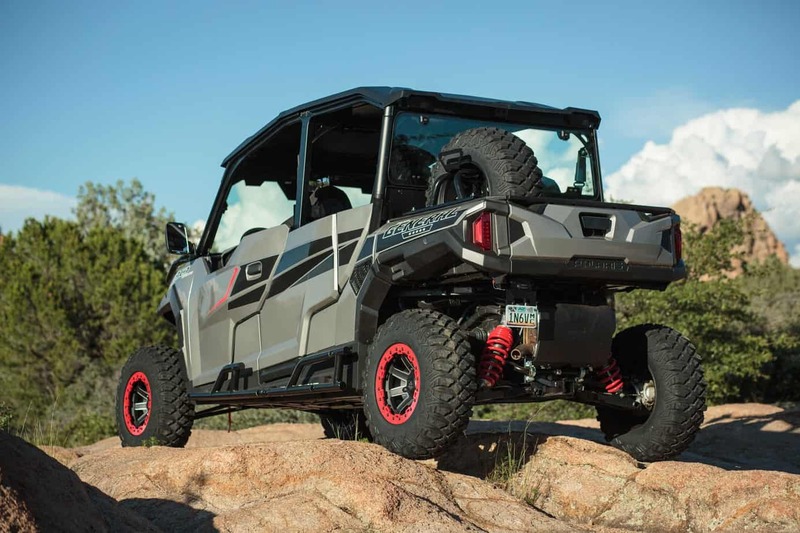 However, our main goal with this exercise was to determine if a four-door UTV can really be used for long-distance exploration. 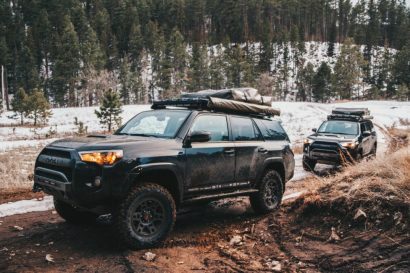 As covered in our first installment, we are not suggesting that the General is a replacement for a Land Cruiser to drive around the world, but it is a genuine solution for a few-day trip into the local mountains, or a week-long escape into the remote Desert Southwest. For the first round of modifications, we wanted to improve performance and protection, while also beginning to address nighttime visibility and preparations for inclement weather. 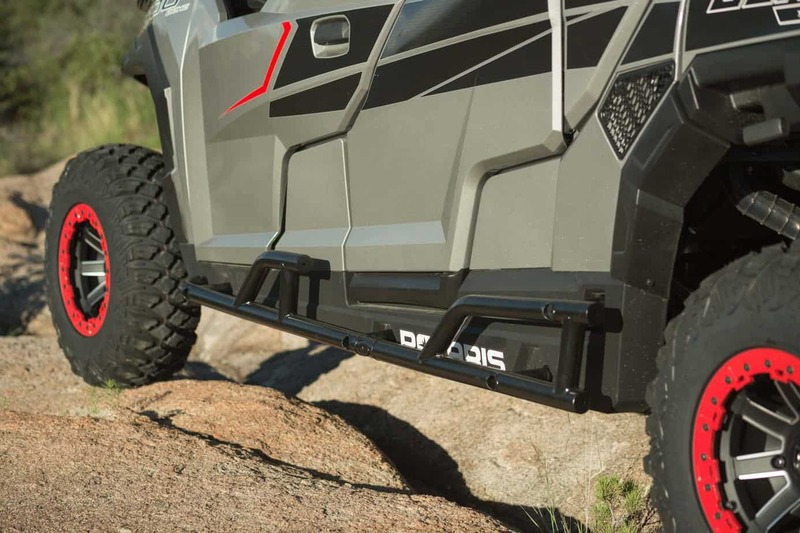 Fortunately, Polaris already produces an extensive line of factory accessories, all of which complement the vehicle warranty. 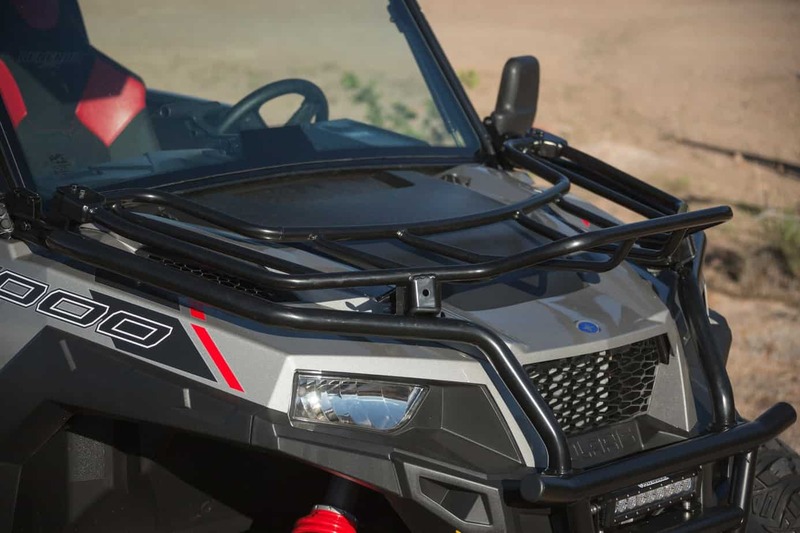 We worked with Star Island Motorsports in Prescott Valley to specify the best products and leaned on the extensive experience of Chris Ramm (their service manager) to make sure it all went together properly. 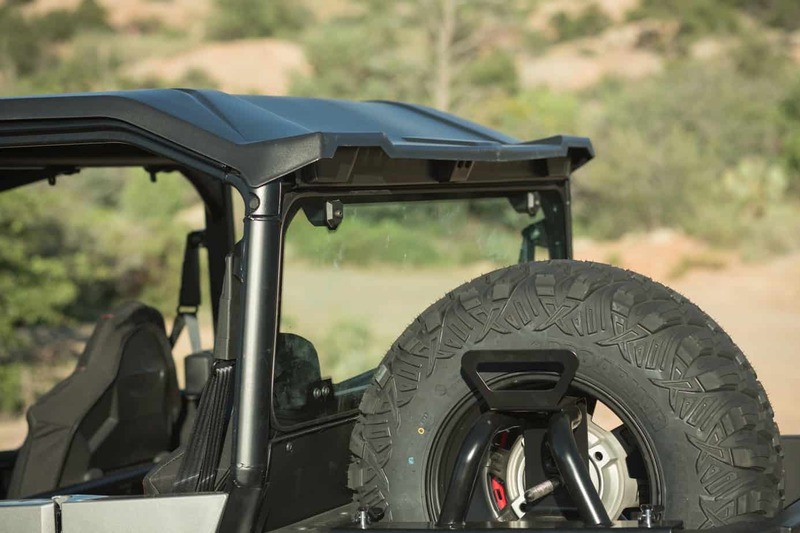 The wheelbase is long at 113 inches, so a set of rock rails serves to protect the lower valance and also the doors. They bolt together easily and mount to existing chassis points. To protect the front fenders and allow for some temporary storage, we specified and installed a hood rack. It removes easily with two clamps. 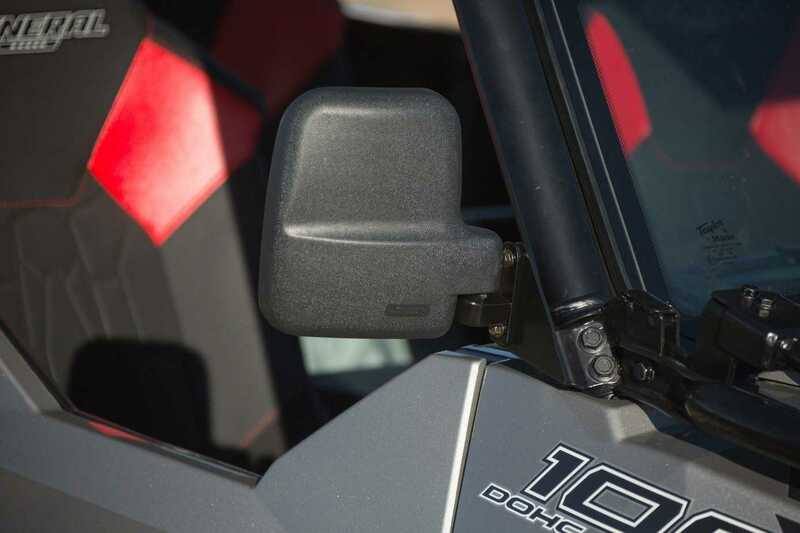 At the same time, we decided to install a pair of aftermarket mirrors, greatly improving driver visibility and the ability to reverse easily on the trail. One of the best ways to improve performance for any vehicle is to change tires. 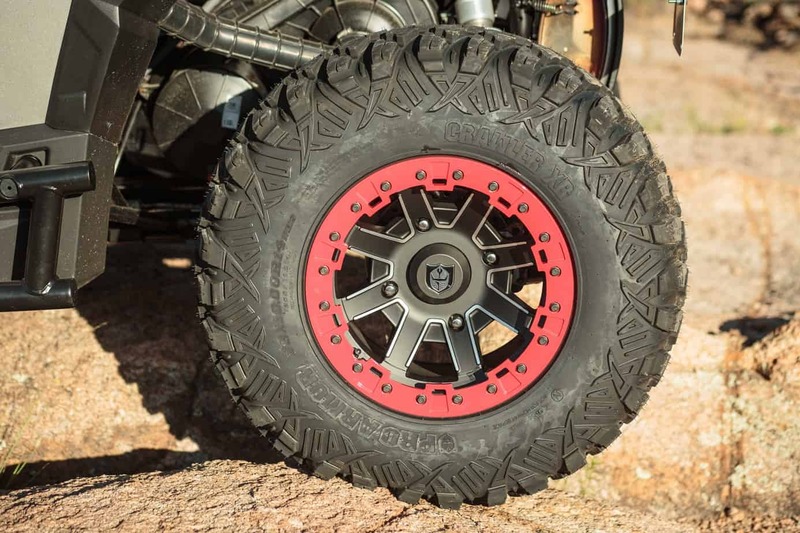 In this case, the new tires are slightly less aggressive than the stock units, but they are 1 inch taller and made from a more durable compound. 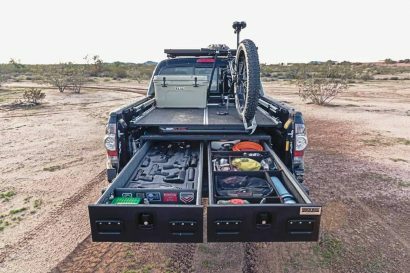 This will allow for longer distances and even better road manners. 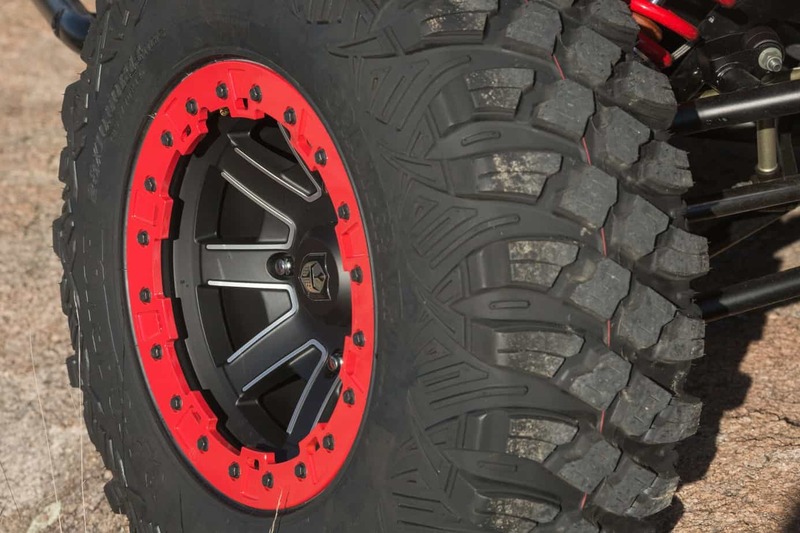 Star Island mounted the tires to factory beadlock wheels, providing the ability to run even lower tire pressures. This was also the opportunity to add a spare, which we mounted to a quick release bed rack. 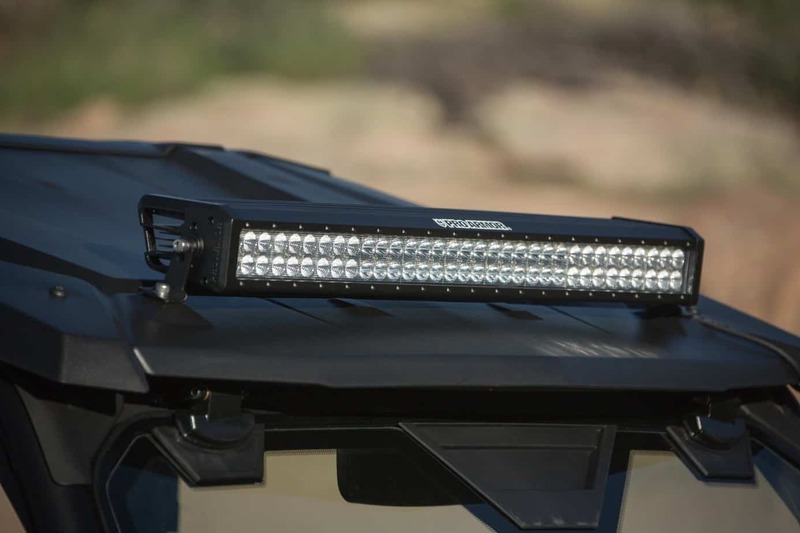 Another area of performance and safety that was addressed is lighting, specifically using two high-output LED light bars, one mounted to the front bumper and the other installed on the roof. 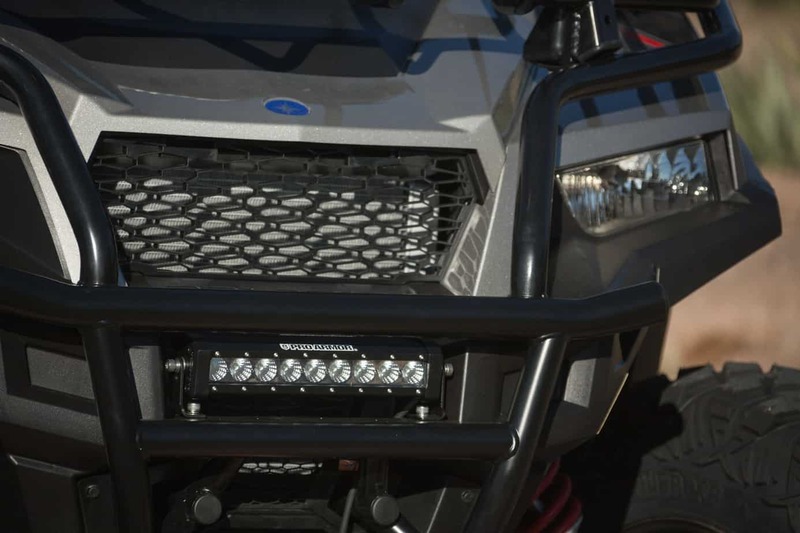 These Proarmor lights are BRIGHT and are supplied with a wiring harness and dash-mounted switch. After a few drives in the Arizona sun and a monsoon downpour, it was clear that our needs would require a roof and windscreen. 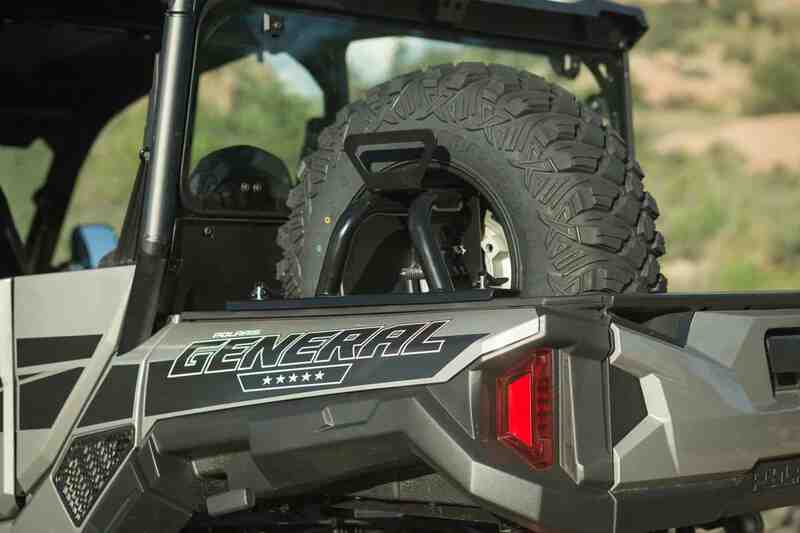 For the General, Polaris makes a full-length plastic roof that fits perfect and can be (somewhat) easily removed. It is quiet and rattle free. We also elected to install a front and rear glass windscreen. 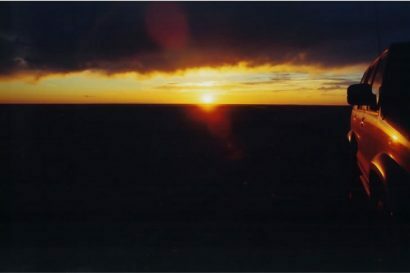 The rear unit greatly reduced dust ingress and the front windshield limited noise and buffeting of the occupants. I feel the front windscreen is one of the better modifications we installed and it made driving the General even more enjoyable. 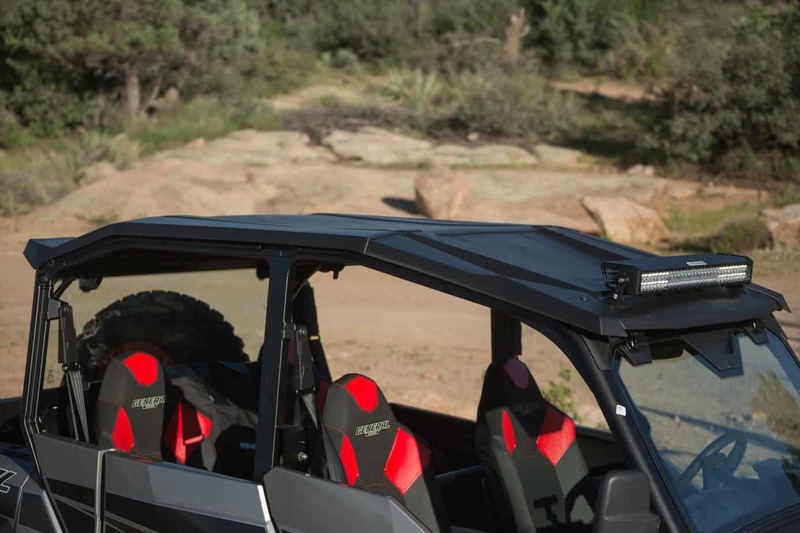 It can also be flipped up, both to a small angle for airflow, or all the way up if bugs on your helmet is a price of admission. 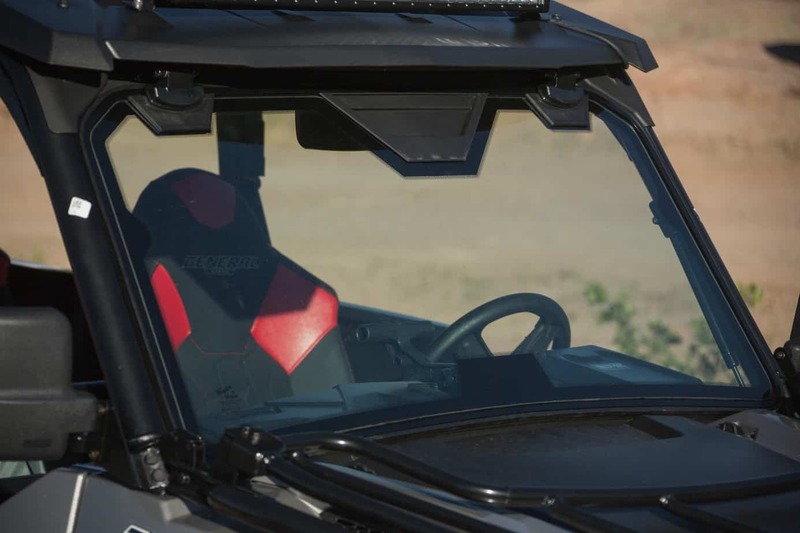 A large t-handle secures the windshield to the dash or allows instant-up using assist struts.